Youtube, Instagram, Facebook and whatever else is there to promote yourself, to build your own community and stay in touch with your fan base, customers or event visitors. Never before it has been that easy to reach out to the right audience. But of course, all these opportunities can be overwhelming too. You want to promote yourself as a rider, as a media outlet or a company, but you don’t know where to start and how to do it best? Is there maybe even a way to earn money with some of these channels? 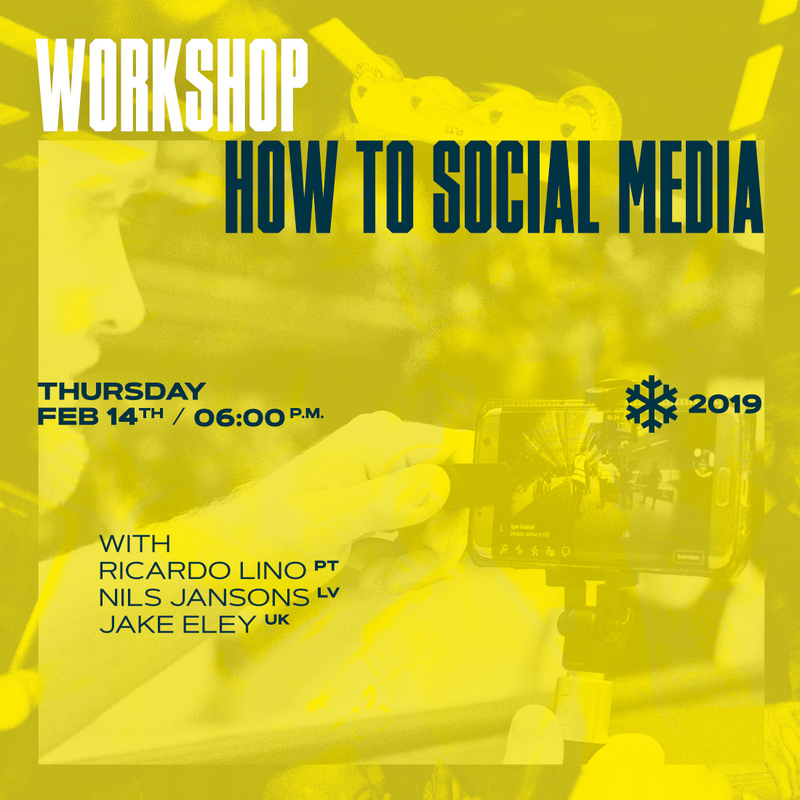 We invited Ricardo Lino, Jake Eley (LocoSkates) and Nils Jansons for the Winterclash Workshop: How to social media to hear their point of view. All of them are using social media to promote their self, their company or products and their projects – and they are doing it in different ways. Let’s talk about it. Thursday, Feb 14th, 06:00 p.m.